Starting on Monday November 9th, evidence will be heard in the Court of Session in Edinburgh from Alistair Carmichael MP as to what was in his mind when, as Secretary of State for Scotland, he authorised the leaking of inaccurate information against his political opponents during the General Election and – crucially – why he later chose to pretend to be a man of probity and to lie publicly both about his knowledge of, and involvement in, this damaging deed. The court is scheduled to sit for up to 4 days, and the costs of this for the four petitioners are set to shoot up – way above what has already been raised to fund the previous stages of the case. If we’re able to help swell the legal fund this week, we will thus continue to show overwhelming support for the petitioners’ valiant – and non-party – effort to clean up democracy. They have committed that any cash unspent at the end of the legal process will be given to Scottish food-bank charities. Our money will therefore go either to upholding democracy or to the relief of poverty. Go here to support The People Versus Carmichael. I am happy to contribute, and have, yet again. But the costs of this are remarkable. It seems that a thousand honest men and women do not have the financial clout to even challenge a moderately rich politician. This does not strike me as justice! 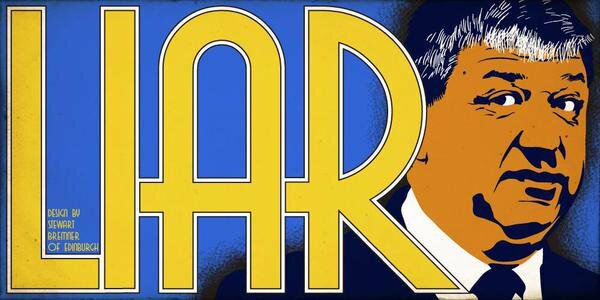 Who is paying for carmichael’s defence? Are there any estimates of the total costs – and more importantly the likely funding deficit? It is just painful to see good people try to attack the state. For the state places defensive bombs, aka wealth, as a barrier to challenging a muppet. If there is corruption within it, an honest state would fund removing it. This is not an honest state. Clearly, that is not what our government does. It protects it’s most vile, most disagreeable vermin with an alacrity that makes it quite clear. If you are a part of the state apparatus, we will abuse whatever means and methods we have already inserted into the system in order to preserve our chaps. However, we live where we live, and thee and me have to fund this, perhaps beyond our limits. The state ought to see moral failure for what it is. The rules are set against that. Will send more money for this very worthwhile action, while regretting that UK taxpayers have to pay TWICE to enforce democracy on this lying MP. We are still paying his wages, pension and allowances after all, and those of whichever Scotland Office ministers and civil servants who might be called to defend his actions. Would like to know why, when this court has decided to sit in Edinburgh, it appears to have decided not to allow live broadcasting of the remainder of the case to the electorate of Orkney and Shetland and all of us from wherever who have contributed in order to see democracy flourish in this nation.